Everyone knows that Smithfield, Virginia is the Ham Capital of the World. But did you know that it was almost the Peanut Capital instead? If a 1921 fire hadn't wiped out the peanut warehouses, Smithfield would have stayed the Peanut Capital and wouldn't be known worldwide for their hams. 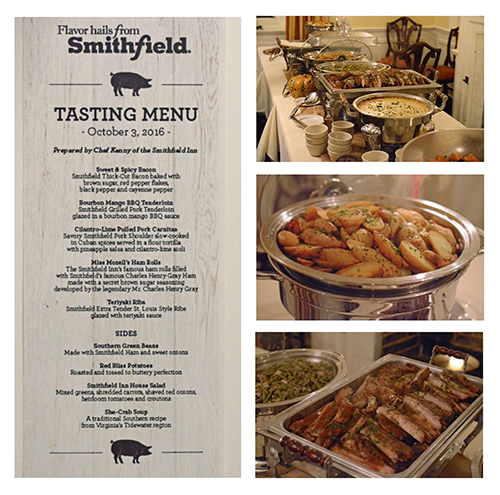 I learned that and a whole lot more recently when Smithfield Foods invited me up to learn more about their historic town, the company, and Genuine Smithfield Hams. In full disclosure, they paid for my educational trip but all in all, I should have been paying them - what a great few days. Plus, to get a chance to walk through the hallowed halls of such a famed smokehouse....you know I wasn't going to turn that down. Day 1 was a travel day, happy hour, a cooking class, and then a great meal. 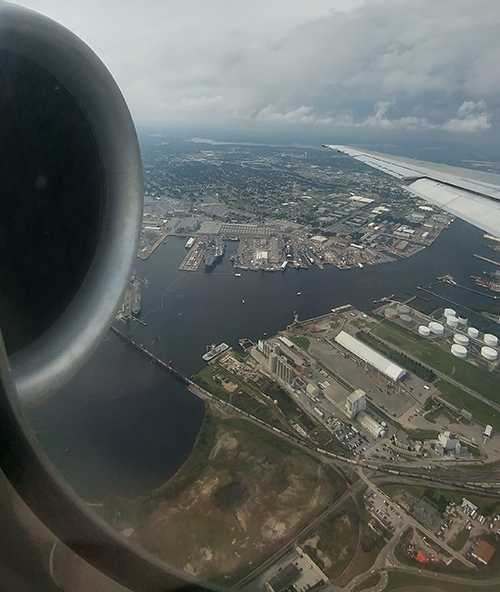 I flew into Norfolk, Virginia, flying over the worlds largest naval installation. See that tiny little ship down there? Yeah, that's an aircraft carrier. 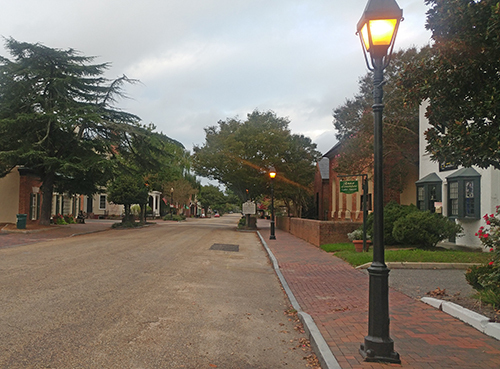 A short drive later, we arrived in Smithfield, Virginia - the Ham Capital of the World. Located in Isle of Wight County (not an Isle...), Smithfield was established in 1752 and has been making history ever since. 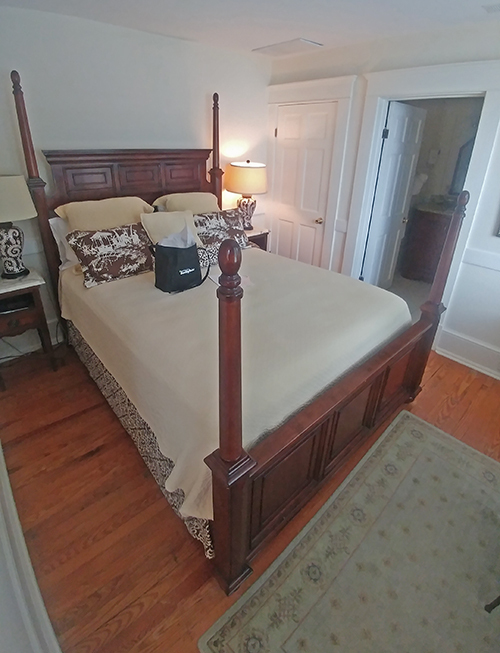 We stayed at the Smithfield Inn which was also established in 1752. Back then, it was a stagecoach stop - a welcome respite for travelers journeying the dusty roads. It makes pulling up in an SUV rather anti-climatic. The Inn is well appointed with craft made furniture. 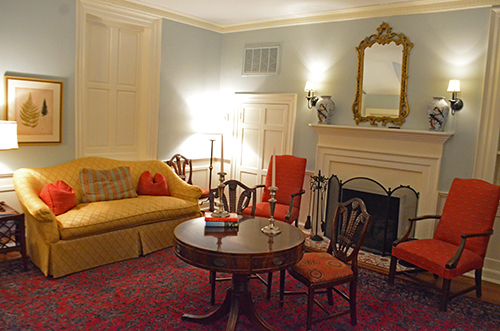 This is the front parlor, to the right when you first walk in. 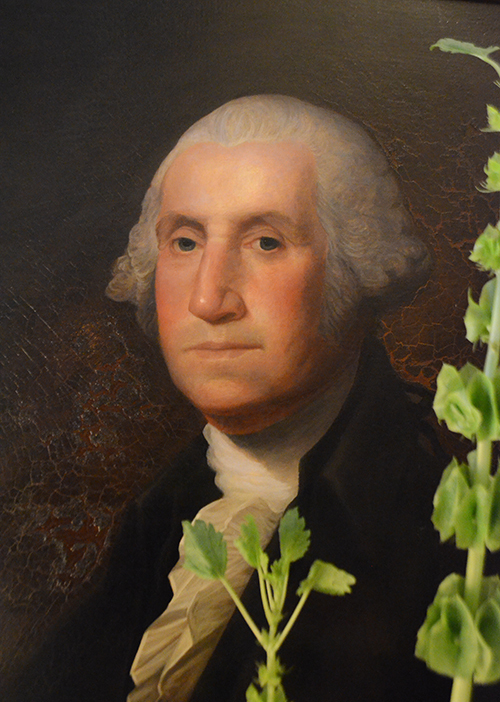 George Washington stayed at the inn. 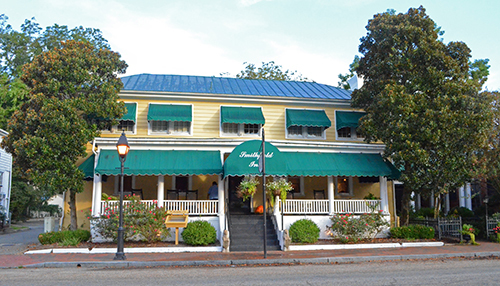 A lot of places claim this but Conde Nast Traveler says Smithfield Inn is one of two places where it is a valid claim. 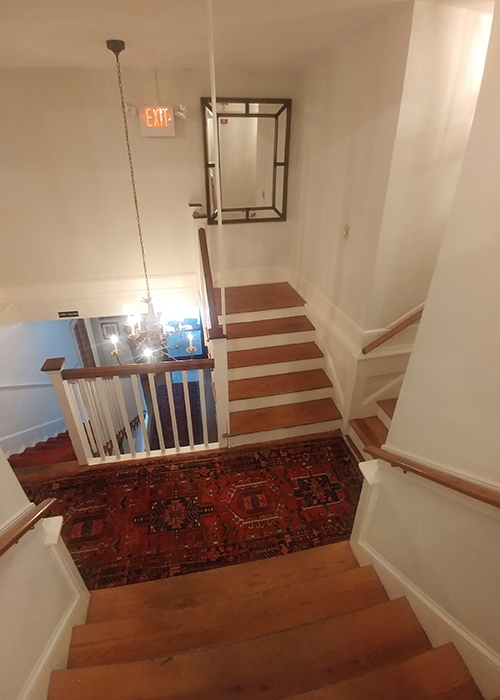 As you walk down the long wood plank floors of the upstairs hallway, it feels as if you are walking back in time. Staircase to nowhere. I forgot to ask about that. I stayed in the George Washington Suite! Yeah, don't get excited, it's just named after him. They don't know which room he actually slept in. 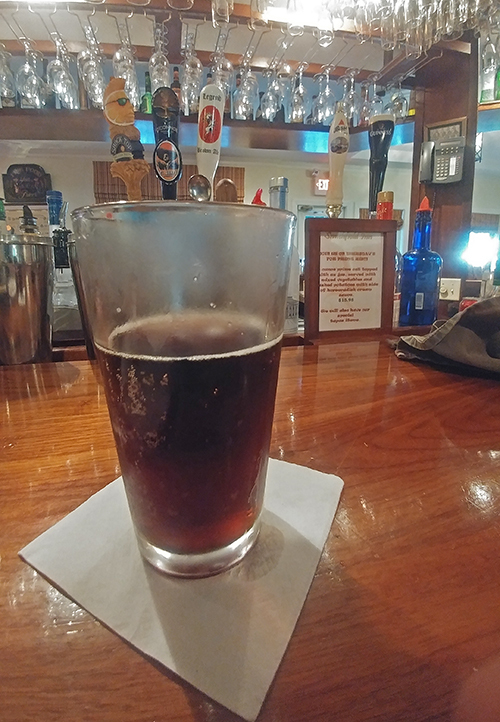 Just like back in the day when stagecoach travelers might have a pint of ale to wash down the trail dust, we met at the inn's bar, where I had a Legend Brown Ale. It reminded me of a less heavy Newcastle Brown Ale. The best ham I have ever had in my whole life. At happy hour, they provided us with this "snack" - a Charles Henry Gray party ham. Here I am in the Ham Capital of the World having the best ham they have to offer and it exceeded my expectations. It's a country ham but treated to a very special painstaking process using Mr. Gray's secret brown sugar seasoning and taking over six months of curing, aging, and smoking. The flavor is deep, sweet, slightly smoky and pleasantly salty. It's a ham experience and NOTHING like a wet cured, spiral sliced ham (not that there's anything wrong with those). They are expensive but for a high end holiday party, this would be an amazing centerpiece. And those yeast rolls? Also incredible. Together, I could have eaten nothing else on this trip but these ham rolls and I would have been just fine. 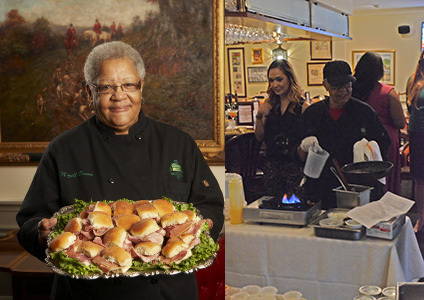 These are the secret recipe of Miss Mozell Brown, who has worked at the Smithfield Inn for 50 years. She got the recipe from her mother and comes in every morning at 4am to make them so no one else in the kitchen can see her recipe. These have been featured on television and won national acclaim, for good reason. I could go on and on about both of these. Together they are one of the most simple yet amazing single bites of food I have ever had. 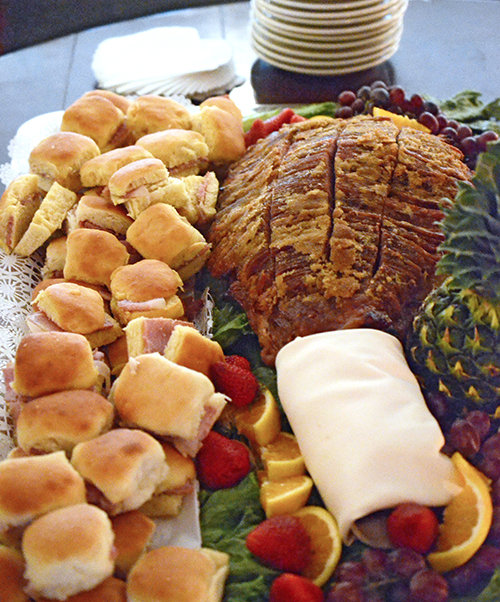 A Smithfield Inn ham roll is everything great about Southern cooking in one bite. If it sounds like I'm gushing, it's because I am. Speaking of Miss Mozell, not only did we get to meet her, she taught us how to make bacon jam. You'll have to excuse my photos for this part, we had lighting problems. Apparently, you can't run more than a half dozen hot plates on a single power strip in a building built in 1752...who knew? 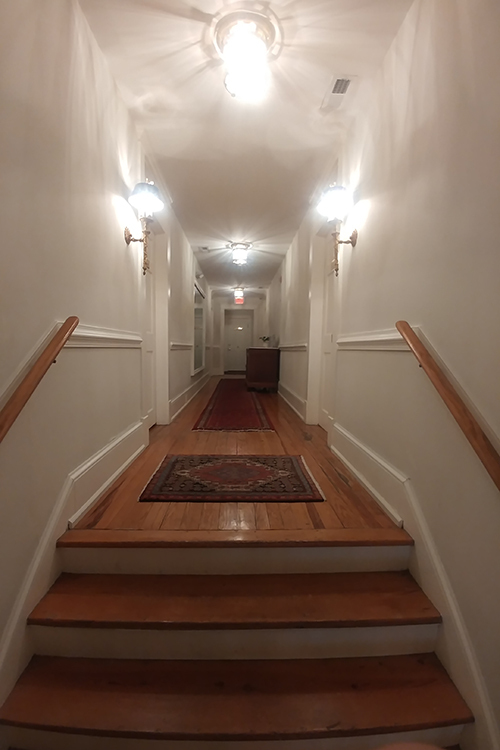 So I borrowed the photo on the left from the Inn's website. It's kind of cheating when they had everything already prepped out for us in portion cups. Maybe I can get them to come to my house? 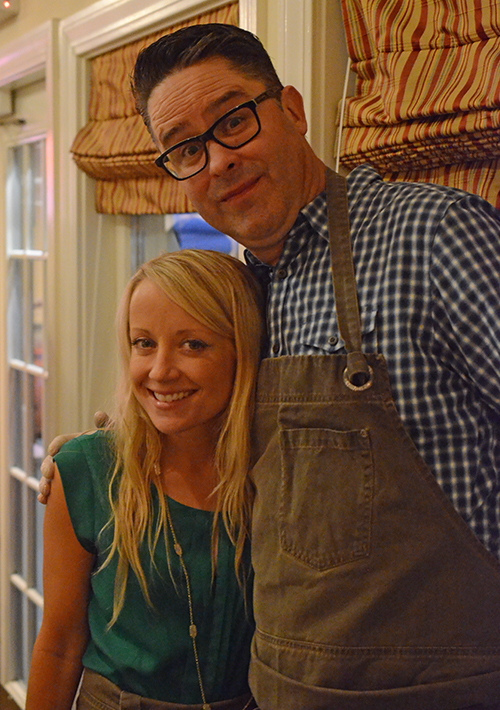 My partners at the bacon jam session were Robyn Lindars from Grill Girl and Clint Cantwell from Grillocracy. 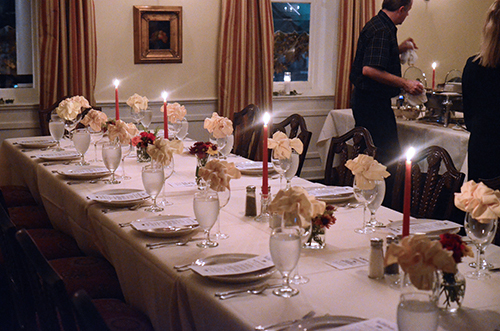 After the bacon jamming, we headed to the main dining room for a fabulous dinner. The inn put out an amazing feast for us, including candied bacon, Teriyaki ribs, carnitas, and the Virginia specialty, she crab soup. 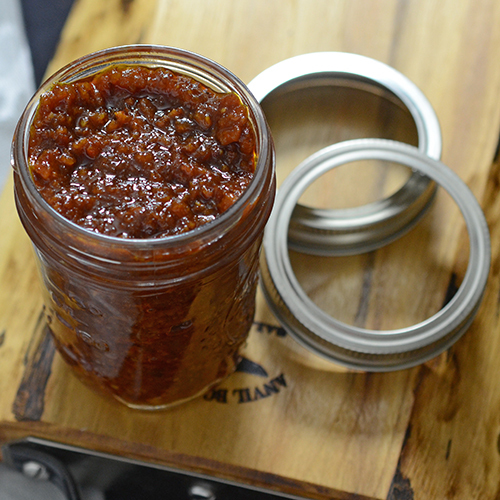 HERE IS THE BACON JAM RECIPE that we made, or a version of it, and this is the one that I made on the grill this weekend. I used light corn syrup instead of dark, because that's what we used in class. 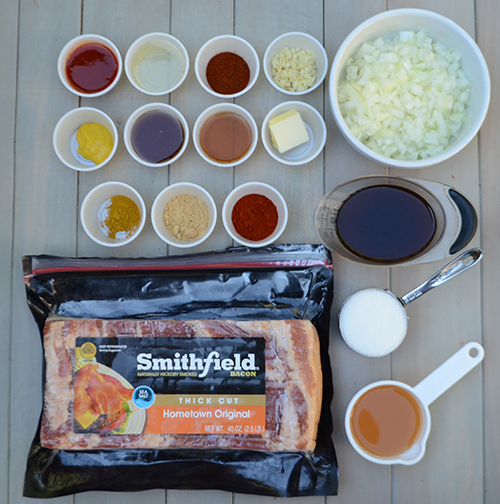 Also instead of apple wood smoked bacon, I used Smithfield Thick Cut Hometown Original, which is hickory smoked. 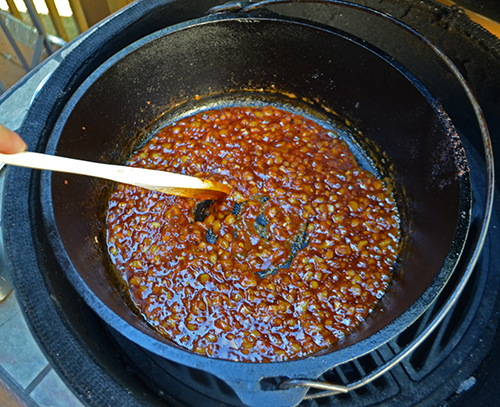 I made the bacon jam on the grill in a Dutch Oven. I was using a kamado grill running at 350°f with direct heat when I started. I had the lower vent barely open because I had to keep opening the lid to stir, add ingredients, etc. and that gave the fire plenty of air. Also, since the grill was MUCH hotter than what we used at the Inn, I didn't add the sugar in the onions until the onions had cooked for 10 minutes first. We got about 3 small jelly jars full from this recipe. 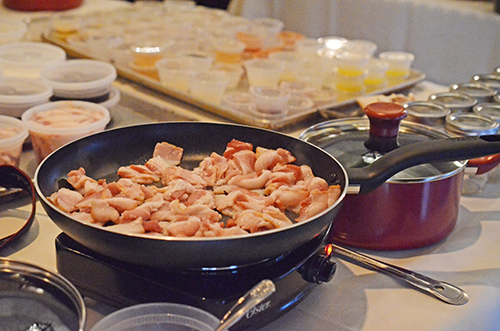 Bacon ham on a homemade buttermilk biscuit? Yes please! Here are the few changes I made to their recipe in order to make this on a ceramic kamado grill. Today I was using a Big Green Egg but it would be the same process on any of our other kamados. First, don't rely on the 40 minute cook time. There is one step where you simmer the jam for an hour. 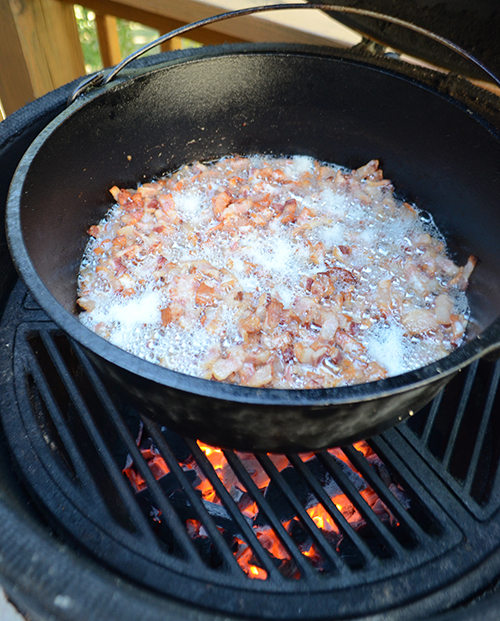 By the time the bacon cooked, my Dutch oven was getting pretty hot so for the step on sauteing the onions and sugar for 15 minutes - I did the onions only for 10 minutes and added the sugar for the last 5 and that seems to work perfectly. Trying to reduce a hot kamado to a medium low heat for simmering for an hour is tough. So I took the Dutch oven out, covered it and let it sit for 15 minutes (this stayed quite hot) while I shut down the grill's vents to get the temperature lowered enough. Then I put the Dutch oven back on uncovered for the remaining 45 minutes. Charles Henry Gray hams are incredible. Miss Mozzell's rolls are delicious. 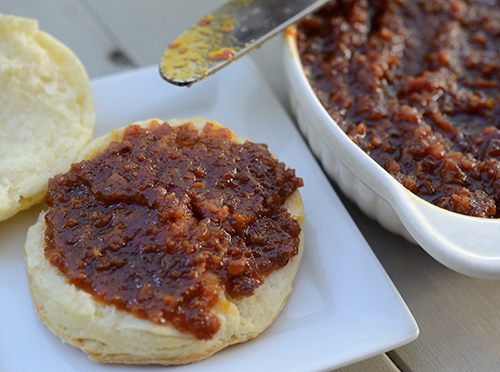 I need to make bacon jam on the grill (done!). I've mentioned Operation BBQ Relief on here several times. They respond to feed the victims of and first responders to natural disasters. They are a great non-profit and their leadership does not even collect a salary - all donations go straight to helping people. On the heels of the Louisiana flooding deployment where OBR served 20,000-30,000 meals PER DAY - now they are in North Carolina serving over 25,000 meals per day. This is stretching their resources thin. Thanks to companies like Rhino, Walmart, and Weber for making large donations of supplies and logistics. Smithfield's Helping Hungry Homes program has donated trucks full of products as well. But OBR is truly a grassroots, regional response program that relies on people like you to donate and volunteer. Sign up here to be a volunteer in your region for future deployments. Check out their Amazon Wishlist to donate supplies. Of course, cash is the fastest way to get assistance to ongoing deployments.